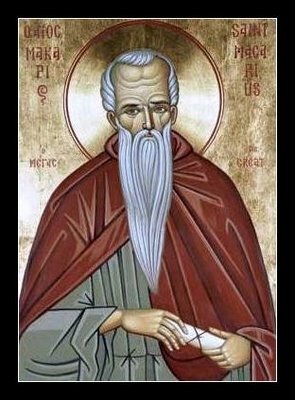 St. Macarius the Great: . . . Unless the man who is under the influence of the passions will come to God, denying the world, and will believe with patience and hope to receive a good thing . . . This entry was posted in Sayings from Saints, Elders, and Fathers, St. Marcarius the Great and tagged Drawing to God, Forsaking the World, Grace of God, Holy Spirit, Life, Living Orthodoxy, Material World, Overcoming Sin/Passions, Passions, Purification, Self-Reliance, Soul, Spiritual Life, Spiritual Sleep, Spiritual Waking, Worldliness on June 13, 2014 by . Bridegroom Matins: Behold, the Bridegroom comes at midnight . . . This entry was posted in Church Prayers, Hymns, Services, Holy Week and tagged Bridegroom Matins, Christ as Bridegroom, Holy Week, Keeping Watch, Servant, Spiritual Sleep, Spiritual Waking, Troparion on April 14, 2014 by .